My oldest son sat at our dining room table. With pencil in hand and furrowed eyebrows, he shifted one bead of his abacus from the left to the right. We use an abacus because he’s a hands-on learner and it makes the hard work of solving math problems a little easier. As soon as he was done, he jumped up and said, “Can we go outside?!? !” All of my kids clamored around my legs with excited expressions. It was time to go outside and play! Whether you are a homeschool family like we are, or your kids go to public school, active play outside is so important for your child’s development. It’s good for you, too, to get outside and enjoy time with your kids. 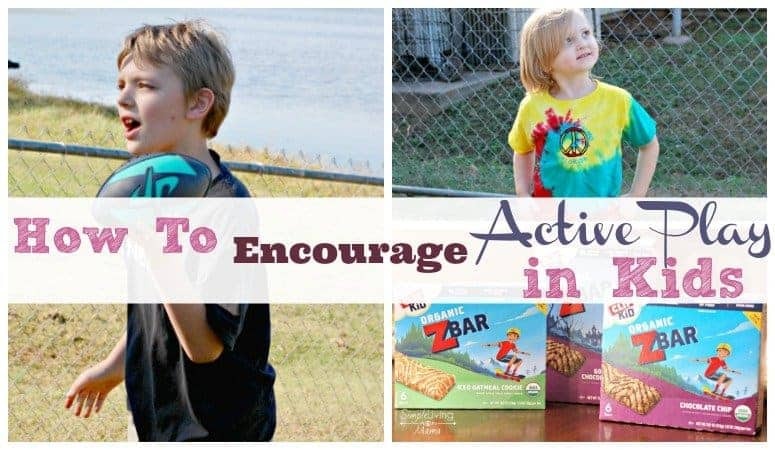 I’ve got five fun ways you can encourage active play in your kids, plus spend some quality time with them, too! You do not need a huge back yard to make an amazing outdoor play space for your kids. Any space with some grass will do. You will want to make sure you provide some essential toys to encourage active play. I keep a bin on our patio full of active toys for our outside time. We have a football, soccer ball, several smaller balls, sidewalk chalk, bubbles, and buckets and shovels for our sand table. 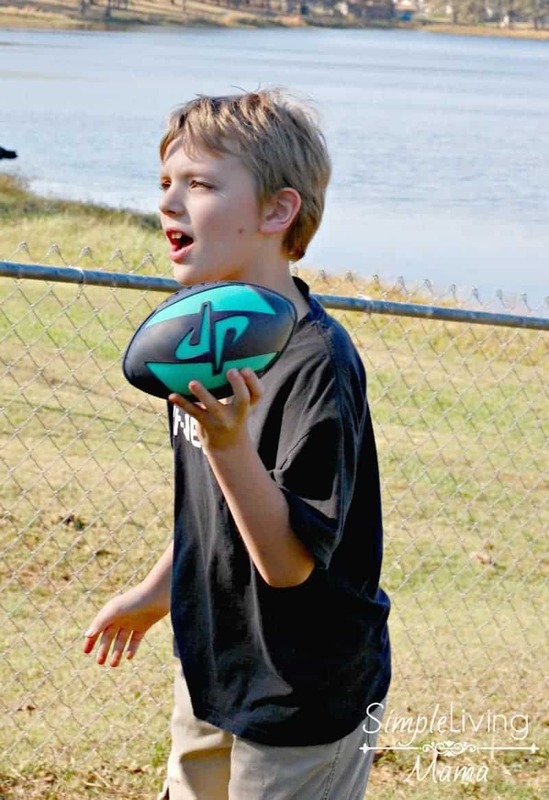 Sometimes our kids need a little direction to help get them active, so why not join them? My kids love when I play a friendly game of hide and seek with them. We have also made it a point to do outdoor activities as a family at least on a weekly basis. Our favorite activity is a simple walk around the neighborhood. The older kids ride their bikes while I push the baby in the stroller. 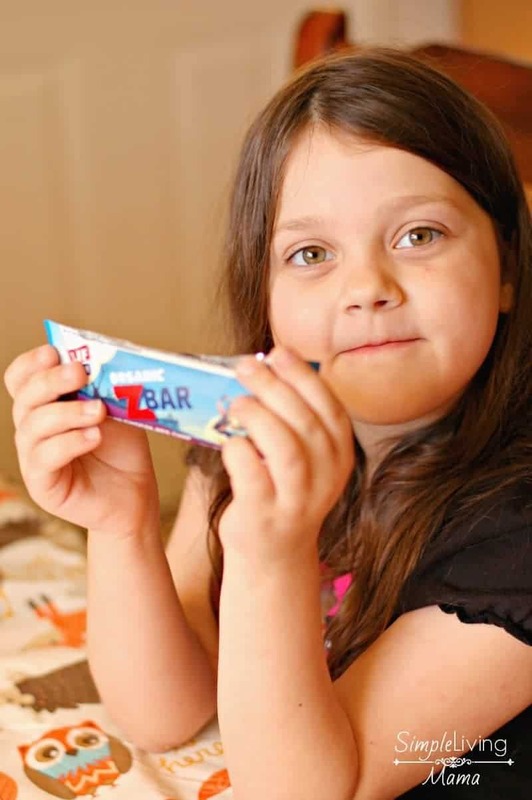 You need to fuel those kids for all of that active play they are going to be doing! 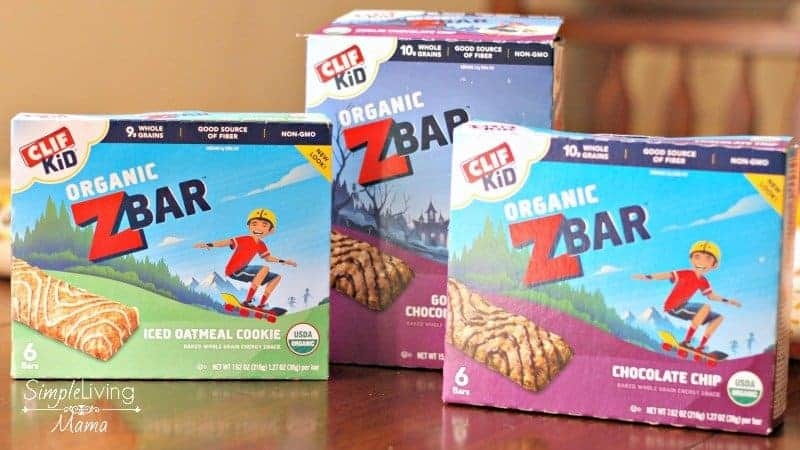 Our new favorite snack is the CLIF Kid Zbar®. They are made with organic ingredients and taste great! Did you know that active play is rapidly declining in the United States? Over 70% of mothers regularly played outside, but only 31% of their kids play outside today. 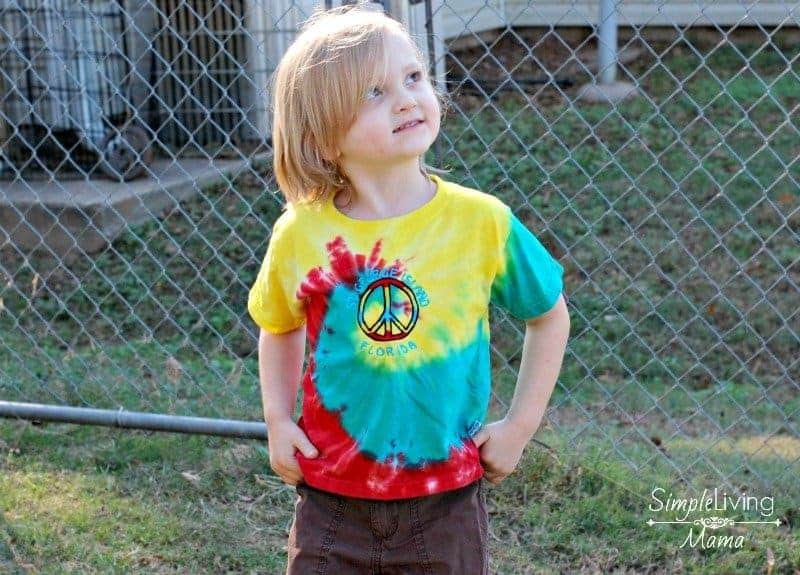 CLIF Kid is dedicated to changing that and bringing active play back! That’s several wins for me! Learn more by checking out this CLIF Kid video. When your kids go out to their play space, encourage them to play creative games. I taught my kids how to play Red Rover, Red Light Green Light, Duck Duck Goose, and Tag. 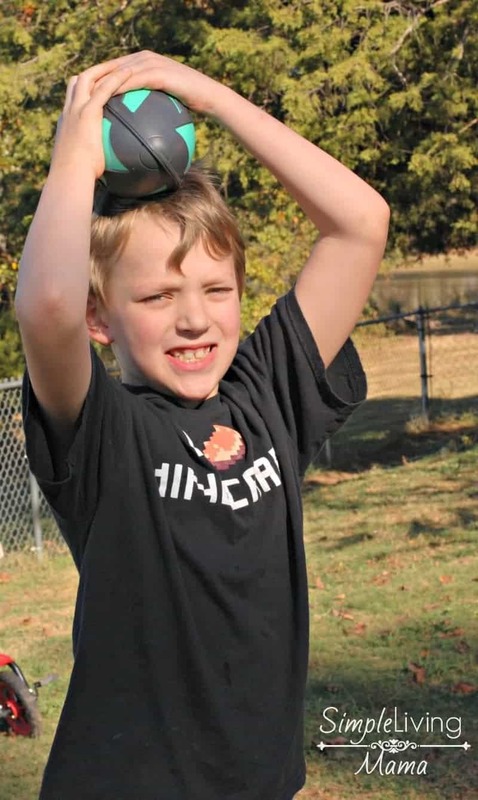 You do not need a lot of equipment to do these simple games, and kids love them! Think back on your childhood and the fun games you played. Teach them to your kids if they don’t already know them! Lastly, teach your kids to truly enjoy nature and enjoy being outside and active. Teach your kids to respect their surroundings, pick up trash, and not destroy plants or wildlife. Point out the little things in your backyard, whether it’s a butterfly on a flower or a robin in a tree. Our world is so focused on technology that a lot of kids are missing out on the wonders right outside their door. Don’t let your kids miss out! How do you encourage your kids in active play?